You are it seems in good company if you view times of depressed property prices and general uncertainty as a great buying opportunity. Just be aware that if it is a house you are after, whether as an investment or to live in, you should do your homework if the property is (or might be) occupied. 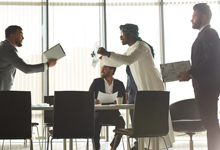 Generally speaking, buying a property with occupiers is fine if you know about them and have a binding deal in place with them (see the end of this article for more on that). 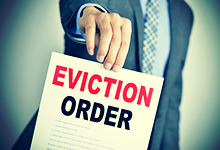 But, as a recent High Court decision illustrates, if you aren’t aware of occupiers and/or don’t have a proper agreement in place with them, you could find yourself unable to evict them even if you buy the property “free of lease”. That it is “just and equitable” to grant such an order after considering all the relevant circumstances. A property investor bought a flat in a sectional title development on a sale in execution. As we shall see below, the history of the flat’s ownership, and its location in Cape Town’s historic Bo-Kaap area, were relevant to the outcome of this matter. The people living in the flat refused to leave or to “legalise … their rights to the property”, and the investor applied to the Court for their eviction. Who the occupants of the flat actually were, with the result that “the court has scant knowledge of essential details of the occupiers of the property in circumstances where these are material to the exercise of the court’s discretion under the provisions of PIE”. Crucially, there was nothing before the court as to the ages or circumstances of the occupiers, so it was unable to consider “all the relevant circumstances including the rights and needs of the elderly, children, disabled persons and households headed by women”. When and under what legal right the occupiers originally took occupation (lease, right of habitation, usufruct etc), when that right was terminated and under what circumstances. Note that timing is important here because once unlawful occupation has lasted for more than 6 months, the question of relocation to land supplied by the municipality or government becomes relevant. Whether or not the occupants had any form of written or verbal lease. That’s important because of our law’s “huur gaat voor koop” principle – literally “lease goes before sale”, meaning that you are generally bound to honour an existing lease (there are a few exceptions – take specific advice). Secondly, the investor failed to convince the Court that it was “just and equitable” to grant the eviction. Do your homework, and do it properly! Investor or not, the Court’s warning to do your homework applies to you. Establish whether anyone is living in the house, exactly who they are, how long they have been there, and on what basis. Bear in mind that because leases need not be in writing, you could find yourself battling occupiers who claim to be tenants under a verbal lease. Without a written record they could well claim to be entitled to pay minimal rent and to have many years left on their “verbal lease”. So first prize will always be to reach a written, water-tight deal with any occupants before buying – ask your lawyer for help. Other offences however will likely be dealt with as “Section 57/57A” offences. An admission of guilt in those cases lands you with a “deemed” conviction and sentence, and until recently, that deemed conviction and sentence could well have ended up in the CRC database. In practice you would probably still have been in the clear if you weren’t actually arrested and fingerprinted, but several years ago there was talk of convictions being captured with just a name and ID number. If you want to be sure, apply for a clearance certificate - see “Applying for a Police Clearance Certificate (PCC)” on the SAPS website. But even once such a new policy emerges, be careful here and have your lawyer advise you in the slightest doubt. Employees have very strong rights in our law, but employers also have effective remedies when employees “go rogue”. A recent case, in which an employee was ordered to repay his employer R33m in “secret profits” including R9m in damages, provides a good example. A manufacturer employed a “Key Accounts Manager” as its agent in dealing with customers. He was trusted with an “almost unlimited discretion” and minimal management oversight to act in his employer’s interests. His employer sued him in the High Court on allegations that he breached both his employment contract and his duty to his employer, firstly by selling product to customers at below-minimum prices, and secondly by selling through his own companies to secretly profit thereby. The employee’s denials of wrongdoing cut no ice with the Court, which held that he “was clearly under a general obligation to do his best for his employer and to conduct the plaintiff’s business in good faith and for its benefit” but “was in breach of his fundamental obligation of loyalty and good faith which he owed to … his employer”. He made a secret profit out of corporate opportunities belonging to the employer. The damages claim was for losses on product sold to customers at prices well below the employer’s base price “in order to further [the employee’s] secret profit-making activities.” Finding that but for the employee’s wrongdoing the customers would have bought product at no less than the base price, the Court awarded the employer R9,407,651.05 in damages (to be allocated, when paid, to the R33m claim). The (no doubt substantial) travel and subsistence costs of both the employer’s legal team and its six witnesses, all of whom travelled from Gauteng to Cape Town for the trial. 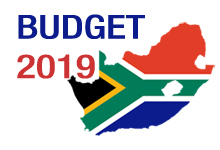 Download the official SARS Budget 2019 Tax Guide from the National Treasury website here.